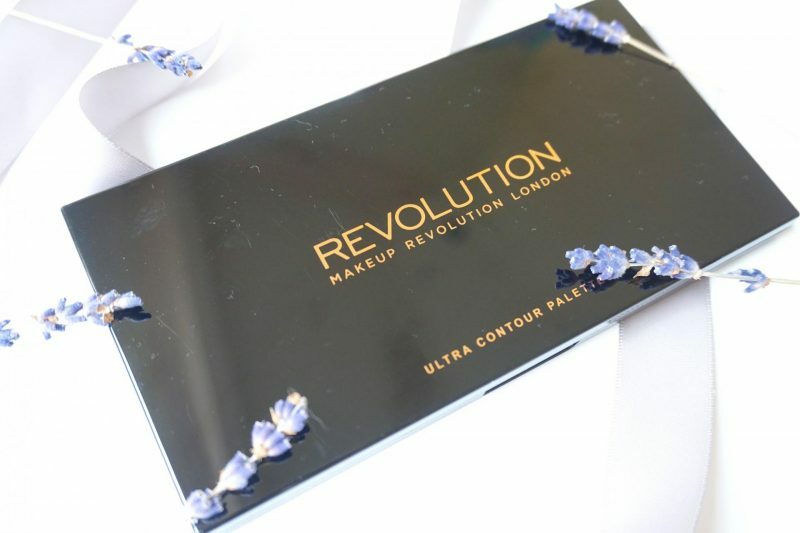 Today I will talk about the Makeup Revolution London Ultra Contour Palette. I remember those times that a few brands were exclusive available in London. I had a friend who went to London and got me a Makeup Revolution Highlight Palette, I was such a happy person that day! 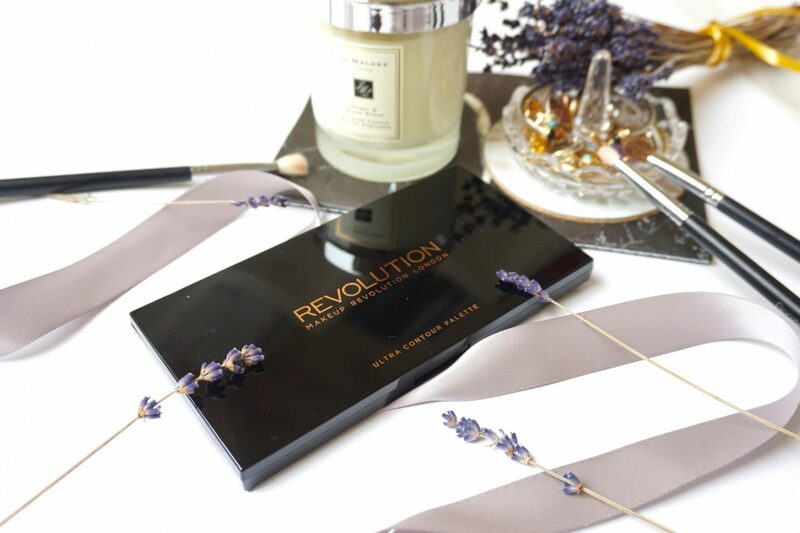 Now Makeup Revolution is also available here in The Netherlands, they are sold at your local Etos store (which is a Dutch drugstore). I can also announce that I’m a representer of the brand for the coming months! Every month I will review one of their items I receive from them. This month the contour palette really stood out for me and I think this is the first time I reviewed a contour palette so this is going to be fun. Let’s start my journey as a #therevolutionairies! 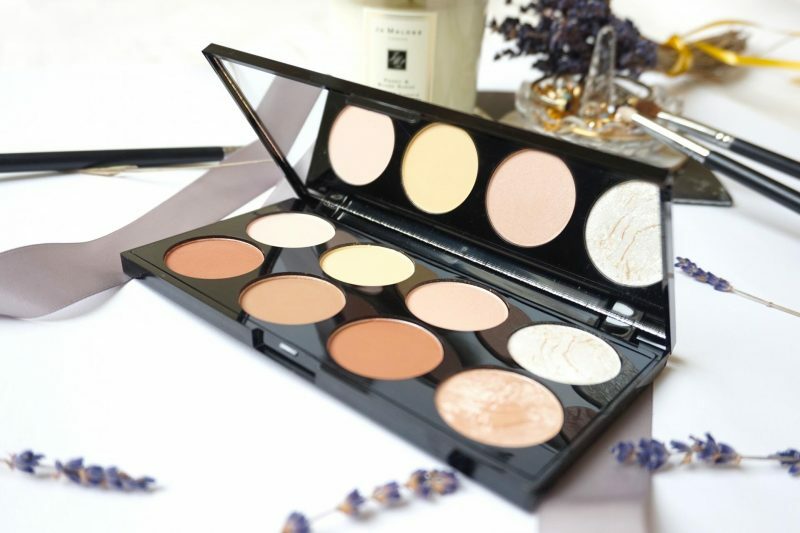 The ULTRA CONTOUR PALETTE has 8 powders for perfect contouring and sculpting. Including 8 brand NEW shades for contour and shaping, with an additional 2 of our favourite merged baked highlighters for illumination. 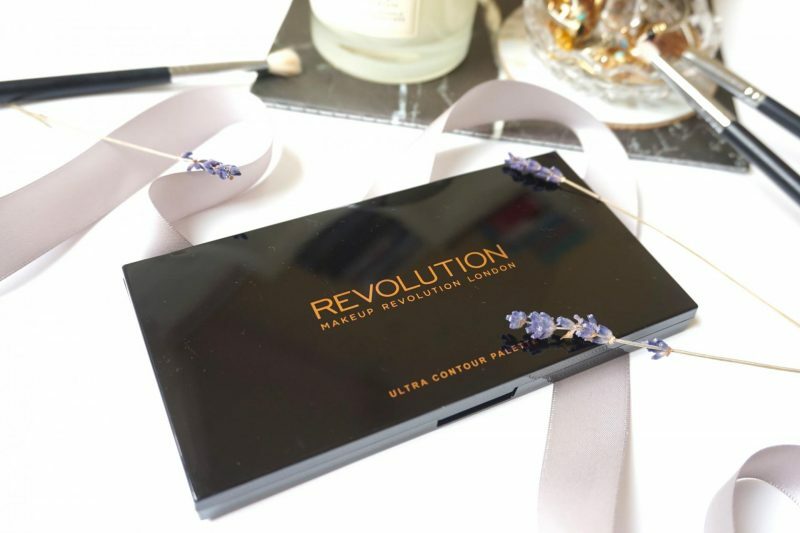 I’ve had many Makeup Revolution palettes in my stash before I started blogging. My friend gifted me this amazing highlighter palette which contained a shade that looked similar to a highend powder she said. Other palettes were eyeshadow palettes which unfortunately didn’t work for me, but I think they remade those palettes. Now I have the honor to try the Ultra Contour Palette as one of the influencers picked by their team! As far as I know the Makeup Revolution packaging is always slick and had something with the color black. All of their palettes have a shiny black case which looks amazing in your stash, I promise you. All of their palettes has the same shape so you can store them easily in one drawer. I remember that at one moment I had 5 Makeup Revolution palettes in my stash and it looked so pretty how they all fitted at one place! The Ultra Contour Palette is black and has a shiny finish all over the case. The size is just perfect, it fits in your hand. Inside of the palette you will find a big clear mirror which is not the cheap plastic mirror you expect from such an affordable palette, but high quality! 5 matte powders: two powders which are used for highlighting the under eye area and forehead and three to contour. The first two matte powders on the first row are light powders which have a light skin color and the other has a yellow undertone. Personally I would only use the yellow powder for under the eyes and the light skin color for on my forehead and chin. 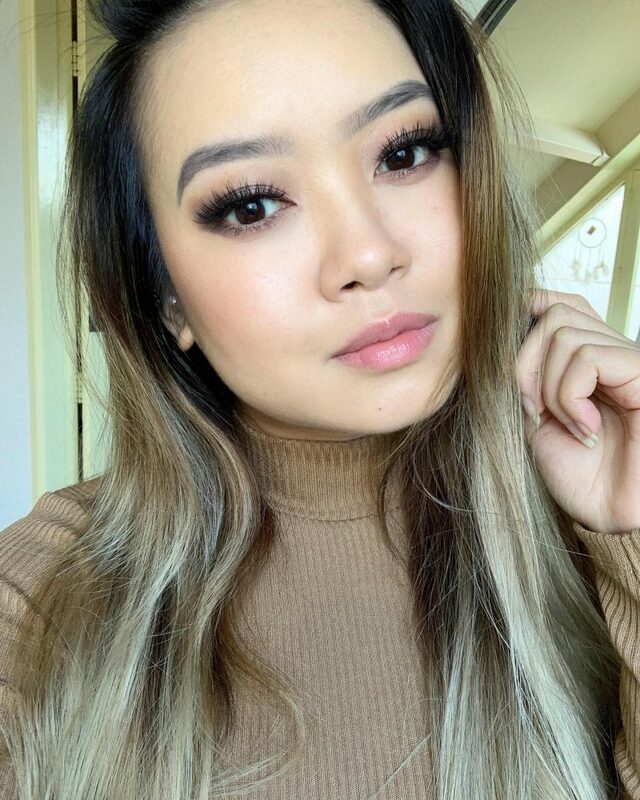 Usually I never use the full contour routine when I go to work, I only apply the bronzer-blush-highlight step with some super light concealer under my eyes. I would never have time to shape my chin and forehead and I think nobody will notice at work! 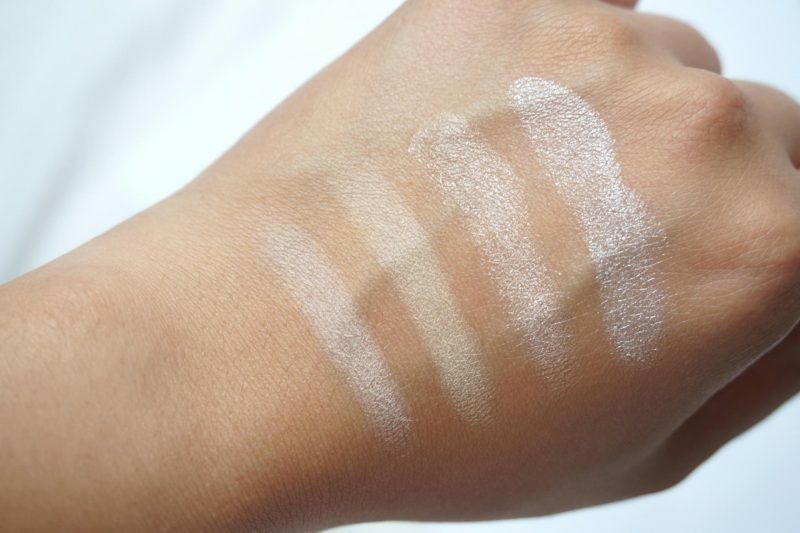 The other 3 matte powders are contour powders which are suitable for all skin tones. It contains a cool bronze, a more gray-brown and a warm brown. For me the more grayish/cool brown will work for my cheekbones and nose contour. Than these is this one shimmer powder on the first row next to the yellow powder. I’m a bit confused because I don’t really know if I can see this as a regular highlight powder or something else. On the internet I couldn’t find much only that it is called ‘shimmer’ powder while the other two powders behind are already highlighters. Last but not least we have two wonderful highlight powders. One is a icy white shade while the other is a more warm pinky/peach shade but still very subtile. I think I prefer the pink/peach shade more because it works better on my yellow undertone skin. The moment when I dipped my fingers into the brand new palette for making swatches, I was suprised by the smooth texture of these powders. Holy moly, its felt so buttery and I have the nerve to say that it almost felt like the ABH Modern Renaissance palette (which has the best pigmentation and buttery texture). My fingers loved the smooth sensation when I made circles into the powders. 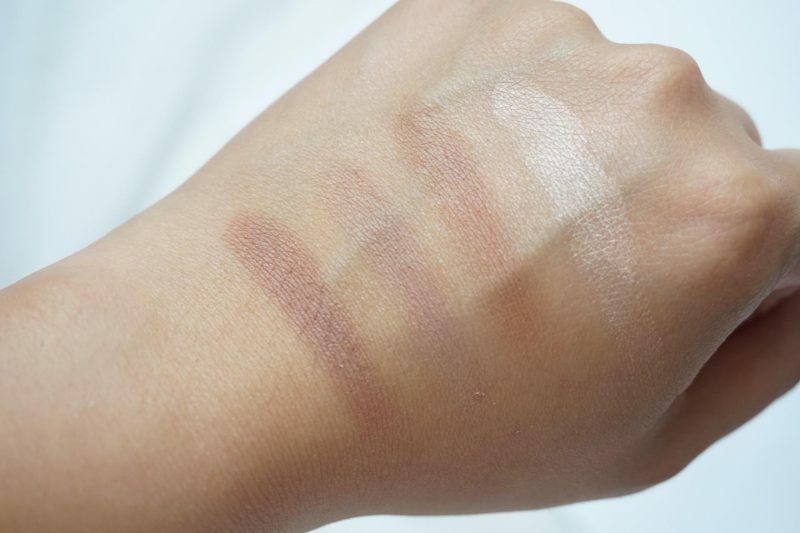 When I swatches them on the back of my hand you could see that the powder was so soft and smooth! No weird streaky lines or dry flaky spots, just a beautiful pigmented swatch on my hand. On the face the powder still feels amazing on my skin. I don’t see any problems when applying it. I do have to mention that the powder is really pigmented but the moment you start to blend it out it will fade away into the skin. For me it is great because I prefer to build up the layers so I can achieve the best results. Maybe it is also better before you end up with a dark line on your cheek that is almost impossible to blend out. 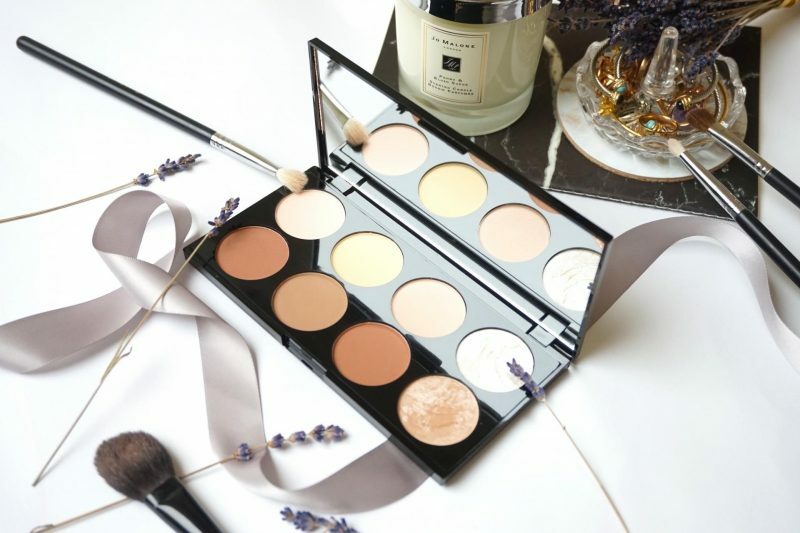 Personally I love the versatile of this palette: it can be used on light and tanned skin. I don’t think that it will work on dark skin because in my opinion the shades are quite light. Another thing is that I don’t use all the powders. From the first row I only use the yellow powder and sometimes the icy highlighter. The second row contains two bronzers that suit my skin. The pink/peach highlighter on the last row is my favorite! I can recommend you this palette when you are looking for a affordable contour palette which has the application of baby feathers. These powders are so creamy and pigmented that when you dip your fingers into the palette, you can hardly see that is has been used. The palette offers many colors for different skintones, so there must be something for you to create the perfect contour routine (except when you have dark skin). Do you have a favorite Makeup Revolution item? 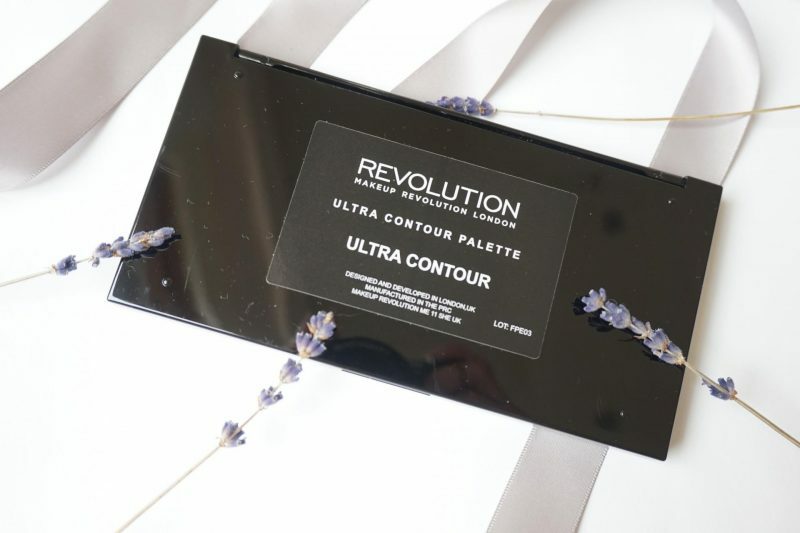 The Makeup Revolution Ultra Contour Palette is available for €11,99,- at the drugstore Etos. Wauw, die ziet er goed uit zeg! I’ve yet to try any of Makeup Revolution’s makeup but I’ve heard that they’re well known for creating great products at affordable prices. The colors and formula for these powders sound lovely, and I can definitely see myself using the contouring shades and the highlighters!